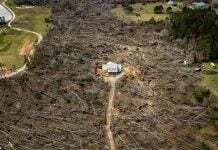 Home Nature Tornado Tornado activity is shifting to the East and scientists don’t know why! 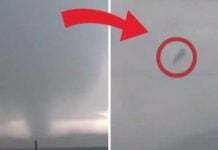 Tornado activity is shifting to the East and scientists don’t know why! 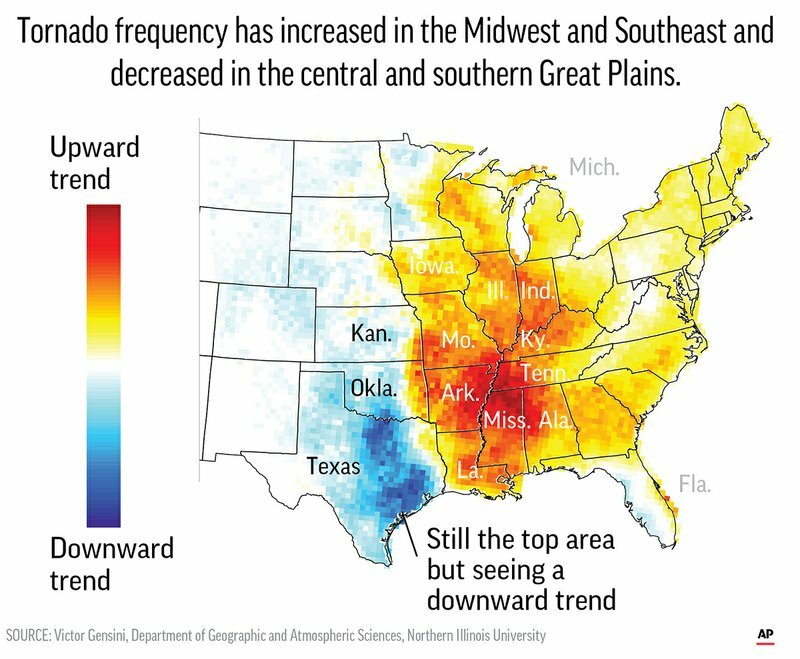 Over the past few decades tornadoes have been shifting — decreasing in Oklahoma, Texas and Kansas but spinning up more in states along the Mississippi River and farther east. But scientists aren’t quite certain why. 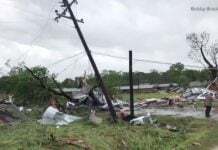 Tornado activity is increasing most in Mississippi, Arkansas, Tennessee, Louisiana, Alabama, Kentucky, Missouri, Illinois, Indiana, Wisconsin, Iowa and parts of Ohio and Michigan. There has been a slight decrease in the Great Plains, with the biggest drop in central and eastern Texas. Even with the decline, Texas still gets the most tornadoes of any state. The shift could be deadly because the area with increasing tornado activity is bigger and home to more people. Also more people live in vulnerable mobile homes and tornadoes are more likely to happen at night in those places. 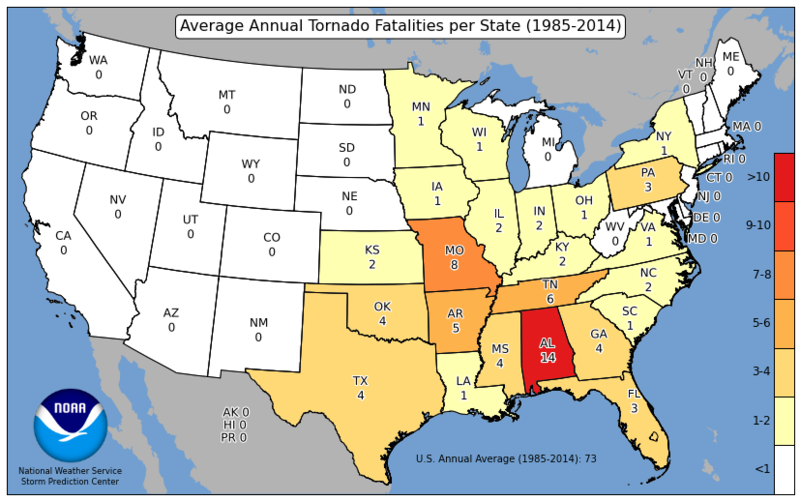 Even though Texas, Kansas and Oklahoma get many more tornadoes, the four deadliest states for tornadoes are Alabama, Missouri, Tennessee and Arkansas. More folks are generally at risk because of that eastward shift. 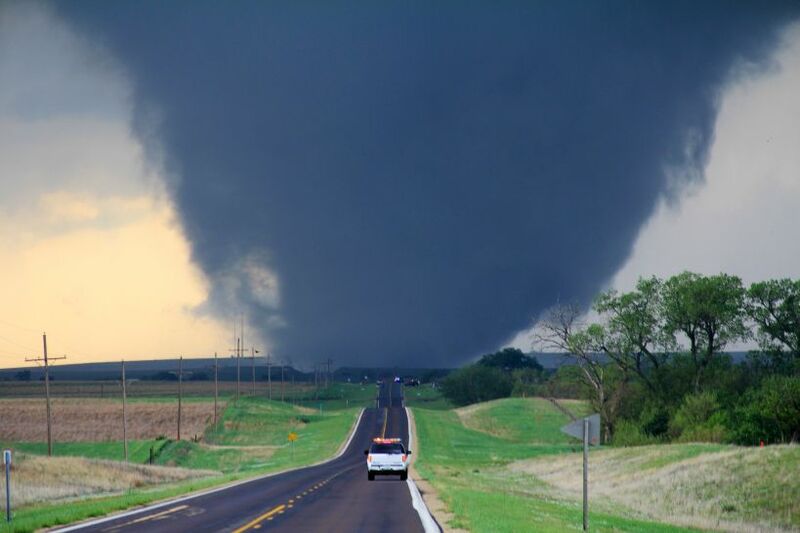 Because tornadoes sometimes go undercounted, especially in the past and in less populous areas, scientists don’t like to study trends by using counts of tornadoes. Now scientists prefer to focus on differences between wind speed and direction at different altitudes, how unstable the air is and humidity. The more of those three ingredients, the more likely tornadoes will form. We don’t know. But here’s my guess: As the Great Plains dry out, there’s less moisture to have the type of storms that spawn tornadoes. Tornadoes form along the “dry line” where there are more thunderstorms because there’s dry air to the west and moist air from the Gulf of Mexico to the east. That dry line is moving east. I live in Alabama almost at the borderline of Mississippi. This year, we had moderate rain. It is not too wet and not too dry. Last year, we had crazy rain almost everyday. I just wanted to get out of this wet area to middle of desert. People told me that 2 years ago, it was complete drought. I can see the effect of the drought in that year even now. There is not much water in a lake. Tornadoes and hails are the constant threat around my area. But fortunately, I have not seen any tornado in my area. “tornadoes have been shifting” because the Earth itself has been shifting. North pole and South pole are shifting. Alabama and Mississippi will move their position from southeast to somewhere else. Those big houses beside the river look quite new. I have found those flooded big houses on Waterside Dr. in Marble Falls, TX on Google Map. Those are brand new houses (Tuscan Inspired Homes) starting in the $700,000. It looks like some of them have been already occupied. In Marble Falls, between 75 to 85 homes have been flooded. At the beginning of the video, a tunnel under a mountain spits so much water? It is strange. Tunnels = Reptilian Secret Underground Bases. I guess Galactic Federation of Light cleaned up their underground base in China. Serial Killer Ted Bundy was a Reptilian. I’ve found his hand shape-shift and skin color shift to greenish skin on the Youtube video, a documentary of Ted Bundy. Please look at the each image of the following article proving he was a shape-shifter Reptilian disguising as a human. The article is in Japanese, but you can look at all his shape-shifting Reptilian greenish hand in the images on the article. His killing more than 100 girls were supported by Satanic Organizations including Federal and local Government (and politicians). Yes, it was organized crime rather than his crime. It looks like the outage area is increasing day by day. Today, even Huntsville Alabama got blacked out!